Mike Donaby is just a Creator of Music. Singer/Songwriter/Producer and Musician are just some of the titles associated over the years. Based in Chicago, Illinois his genres range from Soul Steppin R&B, Soultry Ballads to Contemporary Gospel. When The Music Stops is his debut single in stores wherever music is sold. 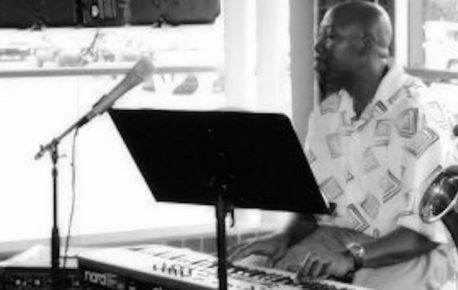 Born and Raised in the Chicagoland area, Mike has performed locally since about 2009, at restaurants, venues and festivals in the genres of Jazz and Blues. Professional associations include 5yr performance engagement and the legendary Army & Lou’s as house keyboardist for Toby Wallace & Friends. He has performed with local and national talents such as George Freeman, Larry Frazier, Penny Jeffries and more. He has briefly worked as an organist at local churches. His writing and recording career began in 1997 through a brief internship at Swell Pictures in Chicago, which led to a record production deal with Toolman Music in Chicago. Leading to the release of “Go Bullistic” in 1998. Some of his musical influence include, Bobby Womack, Freddie Jackson and Tyrone Davis. When the Music Stops, the concept is “Blues with a Beat” addressing a neglected and overlooked market of listeners that enjoy dancing but also appreciate music they can see. Reminiscent of a time where it felt good to have the blues.